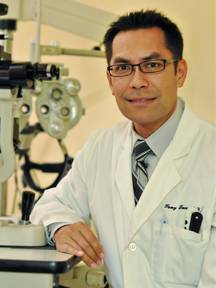 Dr. Tony Luu completed his undergraduate studies at Louisiana State University and earned his Doctor of Optometry degree with honors in 1998 from the Southern College of Optometry in Memphis, Tennessee. Dr. Luu is board certified to diagnose and treat various conditions and diseases of the eye with emphasis on glaucoma, eye allergies, and dry eyes. He enjoys working with patients of all ages and specializes in difficult to fit contact lenses. Professionally, Dr. Luu maintains membership in the American Optometric Association and the Optometry Association of Louisiana. He enjoys spending time with his family, golf, skiing, and travel.